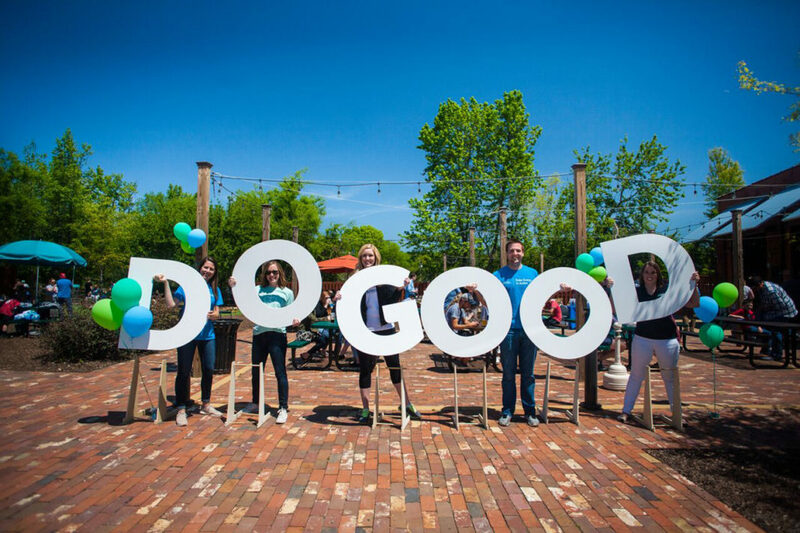 In a localized celebration of National Volunteer Week, SHARE Charlotte will host its DO GOOD Week from April 5-13 to focus on the ways we can give back our local community. Join one of the hands-on volunteer events below, or search for an opportunity at one of SHARE Charlotte’s 400+ local nonprofit partners. Through pop-up, hands-on volunteer opportunities, teens can meet nonprofits that provide volunteer activities for their age group. Bright Blessings, U.S.A., The Echo Foundation, and Crisis Assistance Ministry are among the many nonprofits that will offer pop-up events. Live music, giveaways, and food provided by Chick-fil-A will add to the fun. When: Friday, April 5, 6:30-8:30 p.m.
Duke Energy and Wells Fargo will team up to give the local community a chance to meet their nonprofit partners in a volunteer fair. Stop by the Wells Fargo Atrium during your lunch break to discover how you can support local nonprofits. When: Wednesday, April 10, 11 a.m.-1 p.m.
Carolinas Matchmaker Laurie Carson Berzack will join co-hosts SHARE Charlotte and Guys With Ties Charlotte to present a matchmaking event for a good cause. Tickets are $15 in advance and $20 at the door. This is the eighth Philanthrodating™ event hosted by Carolinas Matchmaker, and past mixers raised more than $20,000 for Charlotte nonprofits. Proceeds from this year’s mixer benefit the American Pit Bull Foundation and Joedance Film Festival. When: Wednesday, April 10, 6-8:30 p.m.
SHARE-a-Latte, a monthly networking event for SHARE Charlotte’s 400+ local nonprofit partners, will take place earlier in the month to coincide with DO GOOD week. The April SAL event will feature special guest Jarian Kerekes, senior director of CSR at TIAA. When: Thursday, April 11. 8:30-11 a.m.
Give back on the last day of DO GOOD week by donating time to indoor and outdoor projects to better Charlotte, presented by United Way of Central Carolinas. Activities include beautification at Arbor Glen Apartments, Furniture Frenzy at Beds for Kids and Horsing Around at Shining Hope Farms, among others. Where: Multiple locations. See opportunities here. When: Saturday, April 13. Times vary. Conclude DO GOOD week at NoDa Brewing Company, where local nonprofits will provide pop-up, hands-on volunteer events coupled with sips from the brewery. Volunteer activities will be available with Good Soles, Big Brothers and Sisters of Central Carolinas and KIPP Charlotte, among others. TheTin Kitchen food truck will be onsite, with music provided by Ellie Morgan Music. Where: NoDa Brewing Company, 2921 N. Tryon St. When: Saturday, April 13. noon-3 p.m.